Joining our acclaimed Star Wars Sixth Scale collection, Sideshow is proud to present the R5-J2 Imperial Astromech Droid. Making a brief appearance in the opening of Star Wars: Return of the Jedi, this sleek black and copper colored repair droid was stationed on the second Death Star during the battle of Endor. 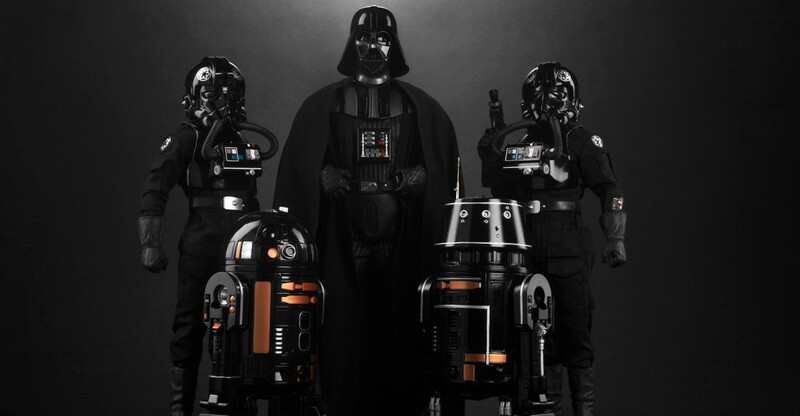 Built slightly larger than the Imperial R2-Q5 unit, the R5-J2 Sixth Scale Figure measures roughly 8.6 inches tall. Featuring hinged panels, retractable treads, and a unique swiveling trapezoid-shaped head, not even a memory inhibitor could keep this droid from bringing personality and charm to your Star Wars collection. You can see a bunch of new photos after the jump. The next Sixth Scale Star Wars Droid has been revealed by Sideshow Collectibles. They have posted up a preview for the R5-J2 Imperial Astromech Droid Sixth Scale Figure. Expect to see a full reveal next week. Pre-orders start on February 25th. We’ll update when the closer look is posted. See the teaser by reading on.